Become a WRV volunteer leader! Help manage projects, be a technical advisor, lead a crew, design restoration solutions, cook, manage tools, or help us with your first aid or photography skills. Bring your skills with you or learn with us. WRV offers leadership and technical training, as well as mentoring by experienced leaders. NO EXPERIENCE NECESSARY. The desire to be a leader is the only requirement. Sign up for a training today! WRV often needs leadership assistants, most often assistant project leaders and assistant technical advisers. Assistant positions are a great way to try out a leadership role and learn by doing. Each leader and their assistant work out the division of effort for each project. Our volunteers include those with certified training in first aid, first responders, EMTs, RNs, doctors, and others. WRV (or the land management agency) provides stocked medical kits, the risk assessment and emergency response plan, and radios for quick response in the event of an incident. Photographers and videographers document the techniques employed, the progress of the work, and the joy and satisfaction of the volunteers. The photos are used by WRV staff to document project accomplishments and recruit for future projects. The project host greets volunteers at the check-in table and helps say thank you and goodbye to them at the end of the project. A project host might also be the trail host, educating the public about the volunteers’ work that day. This is a great way to get involved with WRV’s mission if the physical work of a given project is too demanding for you. The WRV Staff Liaison (WSL, pronounced “whistle”) is a staff position. 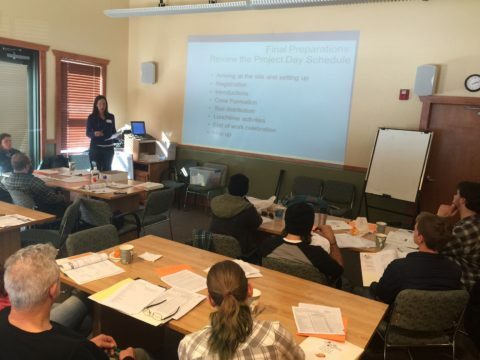 On each project, the WSL supports the project leader and project team so they have a positive and successful volunteer experience that contributes to WRV’s organizational mission and goals. 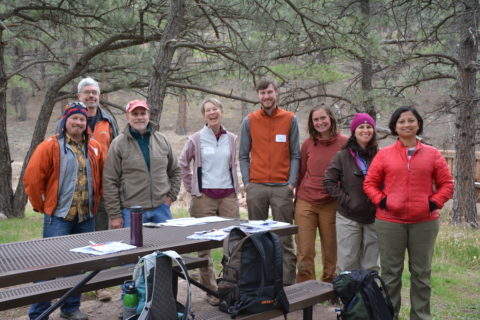 Thank you to everyone who joined us for our inaugural Wildlands University training weekends in 2019, March 16-17 in Boulder (Photos) and March 30-31 in Fort Collins! For more upcoming training opportunities as they are added, please check out our Training Schedule above.